Feb 28th, 2019 04:45 PM 09:10 28.02.19	Receive	248327094	U12467472 Alula Capital	+21.31	137.87	Received Payment 21.31 USD from account U12467472. Memo: API Payment. 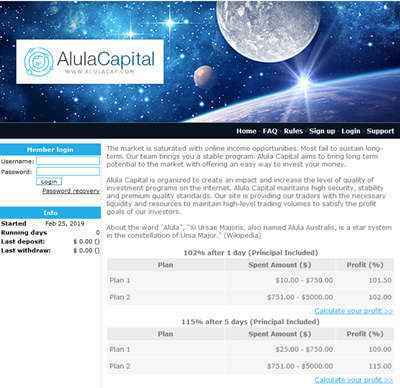 Withdraw to KREMEN from AlulaCap.com.